Researchers at the Swedish University of Agricultural Sciences (SLU) and Uppsala University in Sweden have found that the bacteria on and in a malaria mosquito reflect their life history. 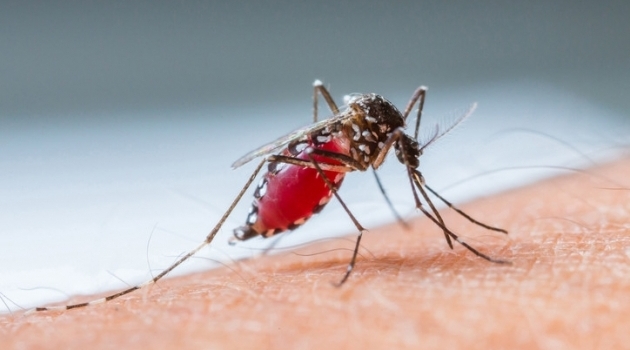 It is even possible to predict from where a mosquito was taken based on its bacteria. The finding that bacteria correspond so well to where a malaria mosquito comes from is described in the March issue of Scientific Reports. Moritz Buck, researcher at the Department of Ecology and Genetics is one of the researchers behind the study. ‘We know that bacteria are found everywhere, but were surprised how much they could tell us about the population structure of the mosquitoes. We could even get information about where their mothers came from’, says Olle Terenius, researcher at the Department of Ecology at SLU. Traditionally, recording spatial dynamics of mosquitoes over shorter time frames has required mark-release-recapture experiments where a large number of mosquitoes are radioactively labeled or marked with fluorescent dye before release. This technique is plagued by a plethora of technical problems and massive releases of vectors of disease bring ethical issues. Researchers at the Natural Resources Institute at University of Greenwich and Institut de Recherche en Sciences de la Santé i Burkina Faso also participated in the study.